Sanitary landfills are the most widely utilized method of solid waste disposal around the world. With increased use and public awareness of this method of disposal, there is much concern with respect to the pollution potential of the landfill leachate. Depending on the composition and extent of decomposition of the refuse and hydrological factors, the leachate may become highly contaminated. As leachate migrates away from a landfill, it may cause serious pollution to the groundwater aquifer as well as adjacent surface waters. There is growing concern about surface and groundwater pollution from leachate. Better understanding and prediction of leachate generation, containment, and treatment are needed. 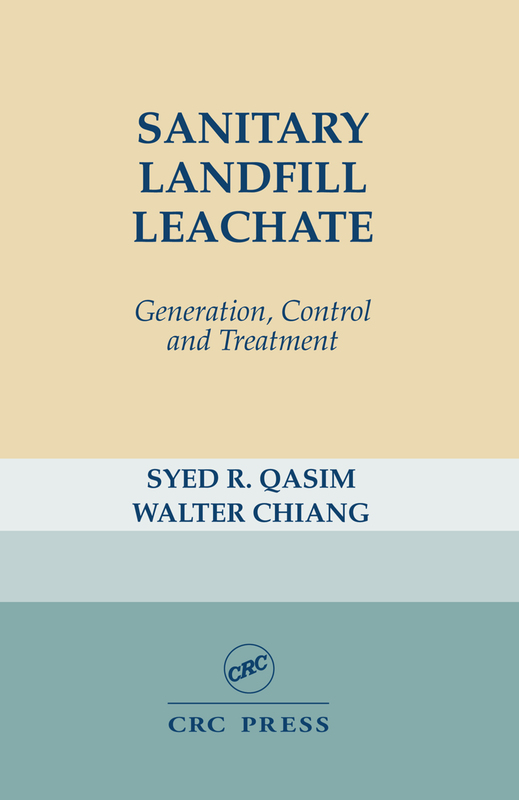 This book contains a literature review of various methodologies that have been developed for prediction, generation, characterization, containment, control, and treatment of leachate from sanitary landfills. The contents of this book are divided into nine chapters. Each chapter contains theory and definition of the important design parameters, literature review, example calculations, and references.